Order online below, or call us at 336-645-5226 to order by phone. 500 pieces of Processed 9mm Brass for $45 with free shipping! 1,000 pieces of Processed 9mm Brass for $80 with free shipping! 200 Pieces of Processed 45ACP for $30 with free shipping! 1,000 Pieces of Processed 45 for $120 with free shipping! 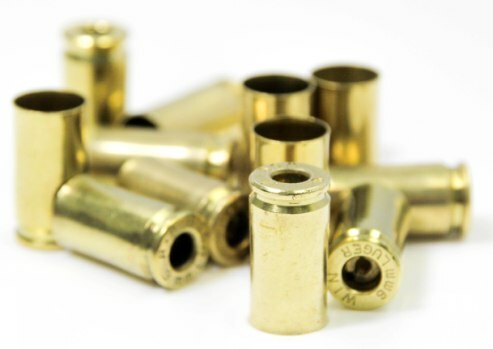 40 S&W Once-Fired Police Range Yellow Brass – NON PROCESSED: $37 per 1,000 with Free Shipping! 40 S&W Once-Fired Police Range Nickel-Plated Brass – NON PROCESSED: $39 per 1,000 with Free Shipping! All are mixed headstamp; your order could contain 100% of the same headstamp or a mix of headstamps. We do not currently offer headstamp sorting. All terms and conditions of sales are available at AllisonSupply.com . You can order online or by calling us at 336-645-5226. Thank you for your business, and if there is anything else you need please do not hesitate to let us know! Please place me on your e-mail list. My son-in-law and I have just bought a Dillon 550B and are ready to start loading.